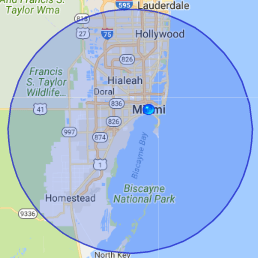 911 Restoration Miami wants to keep the rain out of the residential area and retain the beauty for all who live there for years to come, and that is why people make our water damage Miami Lakes team their first call when an issue arises. Water damage sends the Sunshine State into a flooded state. Our water damage Miami Lakes professionals repair your leaks while you continue to soak up the sun. Water damage restoration has become increasingly important as prices of houses rise. Miami Lakes is known as one of the most beautiful residential areas in South Florida. It’s also surrounded by water and located in a tropical climate, perfect for rain and storms—perfect for water to get into the homes and make thing not so beautiful. Contact our water damage Miami Lakes experts with 911 Restoration Miami if water damage hurts your beautiful house and we will respond within 45 minutes Today! It may seem like roof leaks are inevitable, but you can keep the rain out by requesting a free inspection from our water damage Miami Lakes staff who will show you how to clear your gutters and downspouts so that rain flows away from your property. Lack of water flow on the roof can cause backups, pushing the water under roof tiles and into the ceiling. Rain also sneaks inside through cracked windows, and walls. 911 Restoration finds these leaks and repairs them. We have options to cover your home from top to bottom. We are available 24/7/365, so call us anytime you want to learn preventative measures. 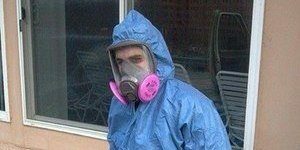 Water damage Miami Lakes techs always put the customer first. Our services come at an affordable price and preventative maintenance does not cost a lot. You want the most value for your money, and that’s what we give you. If a leak comes in from the ceiling, call us right away for water removal, flood cleanup, and emergency roof repair. 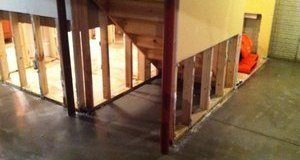 The inspection is free and we are working with all insurance companies, so if you have a flood insurance policy, you may not have to pay for the restoration. Don’t let your home or business suffer from the effects of a black water intrusion without getting help from the best in the business first and foremost. Contact our water damage Miami Lakes team with 911 Restoration Miami and let out professionals take on all of your projects for you with ease today! 911 Restoration Miami has years of experience; we have seen and cleaned up all types of floods, that experience makes us the best water damage Miami Lakes company. We value professionalism and use the latest drying technology, so you know your role in the water extraction process will be hassle-free. The best things about 911 Restoration Miami is that we are licensed, insured, and bonded offering offering to protect your property before you ever need our help. You cannot beat our standards. Call 911 Restoration Miami Lakes for the best service and results. We know how beautiful it is to live in Miami Lakes and our water damage Miami Lakes techs know how ugly it can get when water causes damage to your home. We will help you whether your floods come from sewage backup toilet overflows, fire sprinklers malfunctioning, or even the notorious rain leaks. If your home is already taking on flooding issues, then contact our water damage Miami Lakes team with 911 Restoration Miami for same day service today!